Have you ever tasted a pumpkin roll? It may be the single most delicious thing on the planet! 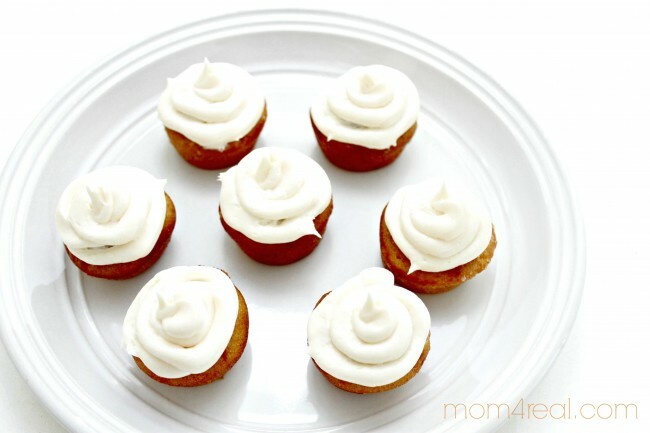 Well, I absolutely stink at baking, and was terrified to try making my own pumpkin roll, so I thought I would settle for pumpkin muffins with cream cheese frosting. 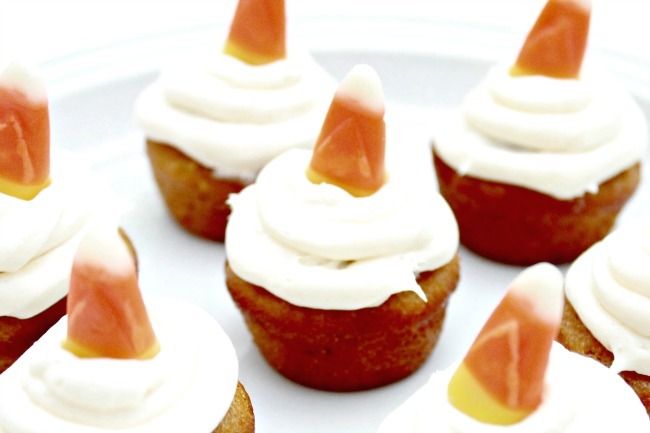 I plan on taking these to a party later this week, so I wanted to make them bite sized for kiddos…and to be honest, maybe I won’t eat so much if they are tiny…maybe just one little pumpkin muffin will do ;) Well, there I was in the baking isle at the grocery getting ready to buy a muffin mix when an idea hit me…why not cheat and use a few store bought items? I do love to cheat a little bit. 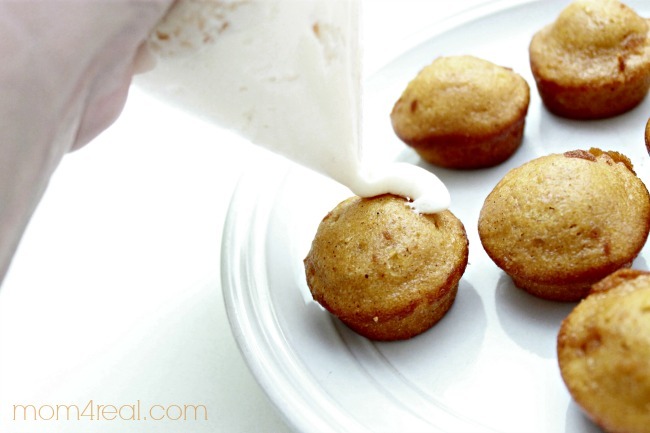 This way, they actually taste good…and my kitchen will be spared the huge mess I always make when attempting to bake. 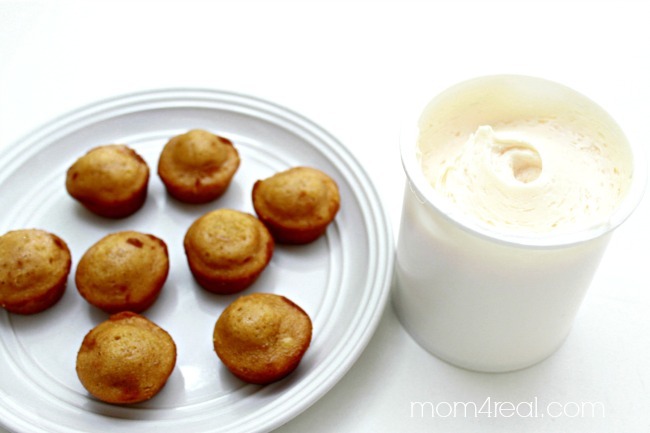 So, my 5 minute cheater cream cheese pumpkin muffins were born…you are welcome! 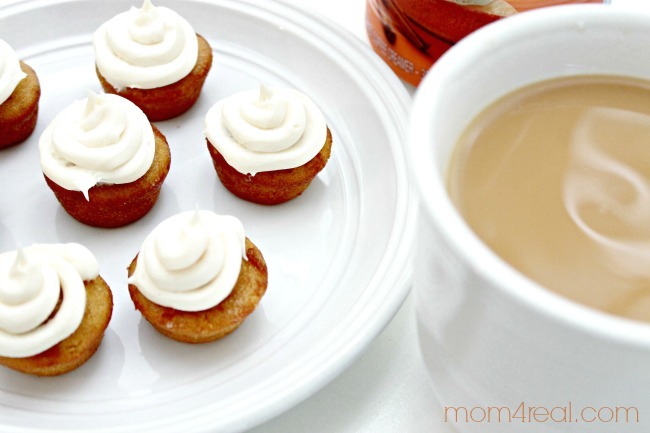 Here’s what you will need…packages of mini muffins and cream cheese frosting. I told you it was easy. 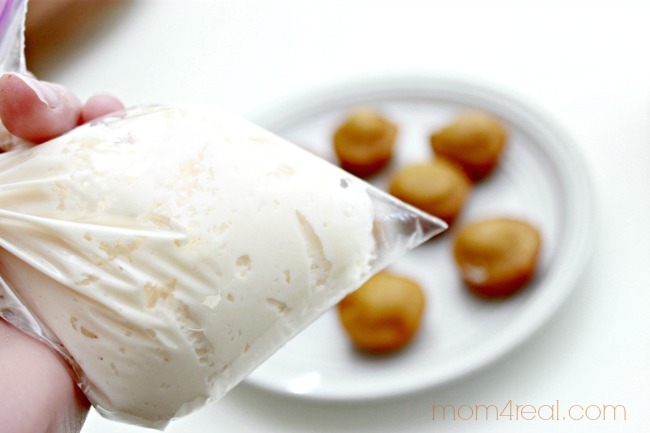 Now, spoon some cream cheese frosting into a baggie, and cut the tip off. 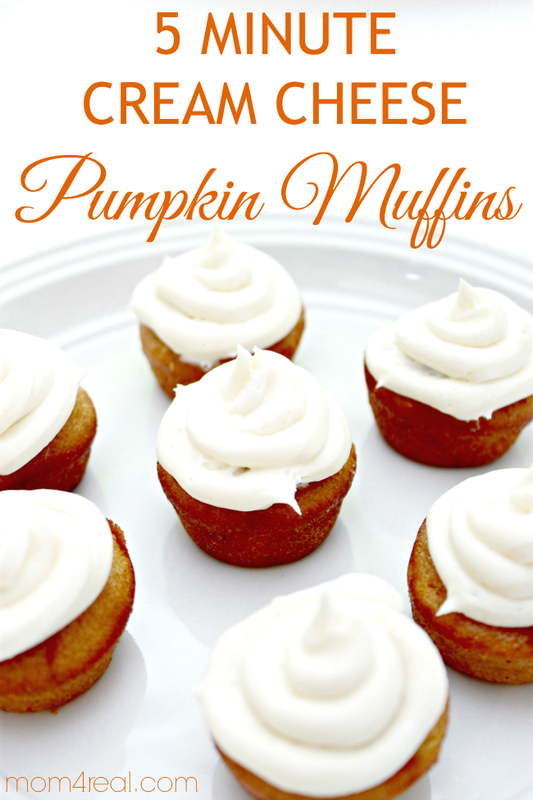 And stand back to admire your delicious pumpkin muffins! 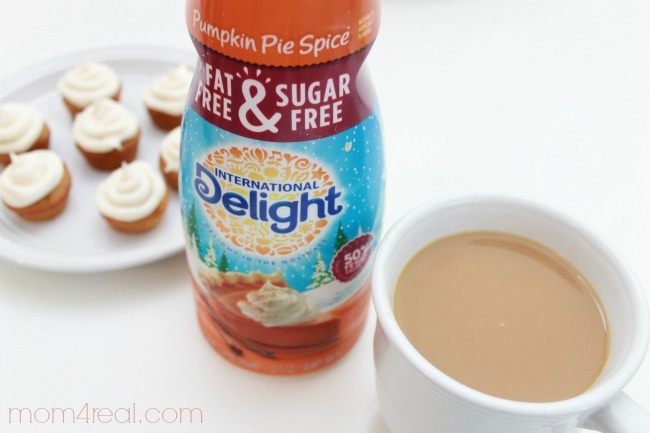 Pour yourself a cup of coffee with some International Delight Pumpkin Pie Spice Creamer and get your pumpkin on! Delicious, right? And you don’t have to tell a single sole that you didn’t make them from scratch…just stand back and take the praise, you cheater you! Be sure to follow International Delight on Facebook and Pinterest for tons of ideas and recipes too!